Oh My Dog! (OMD!) 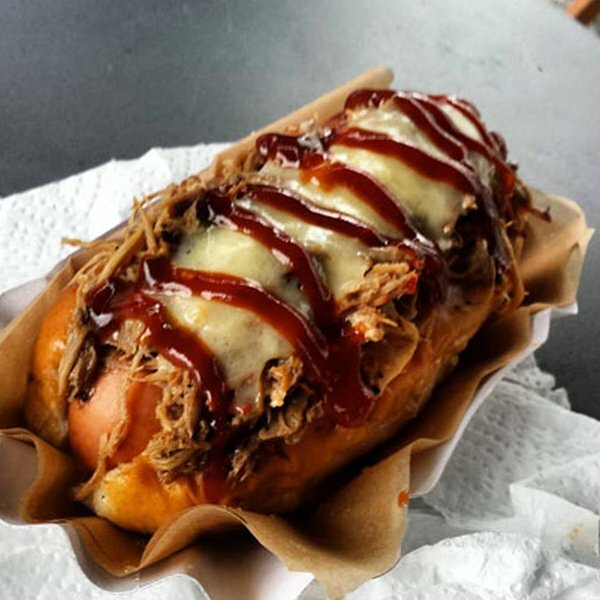 are bringing their amazing hotdogs to The Hop & Berry in Liverpool Road, Islington from Thurday 5th November, for a Thursday-Sunday residency for the month. Expect great dogs, with toppings like Bourbon Chilli-Steak, North Carolina Pulled Pork and OMD Secret Sauce, and on the opening Friday & Saturday (6th & 7th) you can win your meal for free by playing Rock, Paper, Scissors against them. Don't miss it! "From Thursday 5th November Oh My Dog! is taking over the kitchen at The Hop & Berry Islington, every Thursday to Sunday for the month of November. To launch this exciting new residency OH MY DOG! (OMD!) will be getting brave & prepared to gamble in a game of Dog, Paper, Scissors with punters to determine whether they pay for their dinner or not! The wager will take place on Friday 6th November & Saturday the November between 5-8pm. The wager will feature against the full menu for the residency, which will include a range of dogs with delicious toppings such as Bourbon Chilli-Steak, North Carolina Pulled Pork and OMD Secret Sauce, as well as a selection of tasty sides." Link 1 - Oh My Dog!